I wanted to write about this a long ago, but I waited. I waited because a lot of people were very emotional about whatever the political belief they had and many of SLFP supporters were emotional about the ex-president’s departure. There’s so much I want to write here, but I would rather wait for a little longer. Let me break it down, what I can, at least! Good Governance: What a great tagline! and of course we needed good governance badly as well. During the Arab Spring, ‘good governance’ was the key discussion. Some of the most powerful regimes had to leave. There were no exceptions. In every place it was well indicated that ‘people’ factor was the most powerful thing out there. President MR government did not for a second think that the catchy ‘good governance’ effect will snowball until the government itself is toppled. Although I was never really a fan of some of the short term economic policies, in some aspects and the monetary pressure that was put down to people, I was a loyalist to the president Rajapaksa from day one. I actually wanted to see a hybrid government where President Rajapaksa is still the president and Hon. Ranil Wickramasinghe be the prime minister. Whatever said and done President Rajapaksa is a charismatic leader. He had the ability to talk to people. On the other other hand, Prime Minister Wickramasinghe is a brainy-act, in many different ways! Rise of the President Rajapaksa: When I first met him, he was at the President’s House. He was wearing a Sarom and did not even have a shirt on. I don’t remember which year it was, but it was soon after he became the president. I was with Namal and a few other folks in his room at the PH. We were spending the night there. The way he talked, moved, everything about him really struck me. He was sort of a father-like figure. I started thinking to myself, ‘Well, he’s just like any of us!’ In early years of the government, we had no idea if the government was even going to last. We did not know if the budget was going to be defeated. One thing was certain is that, we all wanted to finish what was started, the war! We all were very emotionally attached to the whole thing. A lot of people were suspicious about what was going on. Everyone was doubting if the war was actually going on or if the whole thing was an act, but after a while, a lot of genuine people started helping. We risked so many things, which I cannot even mention here. The end result was great and we were able to finish what many other governments could not. Namal on the other hand, did the best he could. visiting camps, arranging any necessities or whatever it may be. The whole first term was a very hectic, yet an interesting time. Election: Soon after I heard there’s going to be an election, I knew it was not going to be easy. The frustration had built up to a level where people could care less what President Rajapaksa did during his first term. We would be lying to ourselves if we think that everything was so glorious during the second term. The moment I heard about the election, I emailed Namal. I told him we would need the ‘old team‘ back to run the campaign! His response was quick. He said “Thanks! we are working on it, will inform you..” He has had this habit of not answering the phone anymore so everything is either text, email, facebook or Whats App. I knew this time it is going to be difficult so we would need to have folks we could trust. After 2010, may be towards early 2011, most of the folks who were close to Namal were gone. He too was very distracted, because its one person over another, coming in, every. single. day.. (I am keeping everything short and sweet to avoid any confusions! 🙂 ) He too did not think it was going to be this difficult. What really happened was that the defeat came from within. There were so many who pretended to work so hard for the election, but they did not. 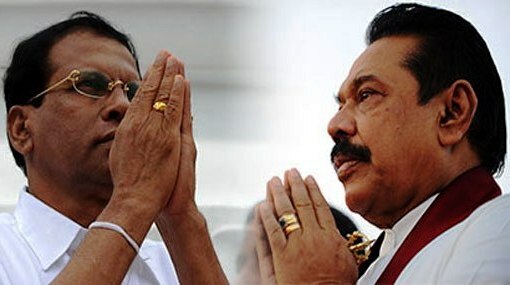 A lot wanted the government to lose; Well, President Rajapaksa to lose. A lot of regional politicians were playing both sides of the coin. While they showed a pretty face to Namal and the president, they were technically telling everyone to vote against. Attention to details: I knew very well a long before that the hype was building. In a detailed document, I analyzed past elections against a survey allegedly ran by Mr. Ruwan Ferdinendez (not sure who it was really. We think it’s Ruwan who ran it). The stats were not looking good at all. In a detailed document, I specifically told Namal that what we are going to be losing is educated, youth votes, in the range of 18 to 35 within sinhala buddhist areas, primarily. But no one was worried, no one thought it even had any effect at all. In that document I told there’s about 1 to 1.5M undecided votes that has to be talked to, backup by facts. Again, no one listened! Then on the other hand, opposition was segmenting each and every section and catering very targeted effective marketing campaigns. It was working! Miscommunication: The election manifesto was “Lowa Dinana Maga.” which translates to “how to win the world” and the campaign slogan was national security. That did not match. People didn’t even remember there was a war. It’s long gone. What people wanted to see was how their lives can be better and what opportunities will a available within the next few years and you can’t blame them. Specially the youth were comparing themselves with the countries they have been to. I guess the campaign slogan was put there at the end to hype the ‘fear of the unknown’ factor. Until the election night, I don’t think anyone thought that the Rajapaksa government was going to lose. To some of them, they just did not care. They could careless if the government was toppled, because it was not moving them forward. If anyone says the SLFP government lost because of the northern and eastern votes, you are either a racist, or really bad at math or a mental retard. What the government lost were educated young votes in sinhala buddhist areas. I was very specific about that and too bad no one thought it would be like that. A lot of money was wasted for non targeted marketing campaigns that was purely aimed at mud slinging than provide people with a mature, fact-based campaign. The fact of the matter is, there was no one trust worthy around to advise, guide and show the right picture. This election was a classic example of how things can go wrong by taking things so lightly. Note: This article does not need to or mean to discuss any allegations towards the ex-government and I do not even intend to be a part of that discussion. Let’s leave that to those who investigate those issues. Previous PostBinding the PHDs with StartupsNext PostGeopolitics in Asia: The truth that everyone knows, but no one talks about!